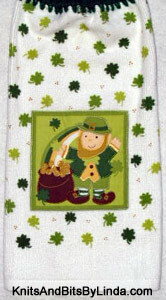 A happy little Leprechaun is celebrating his find of a pot of gold at the end of the rainbow on the appliqued patch of this terry hand towel. There are lots of shamrocks in assorted colors covering the rest of the towel. 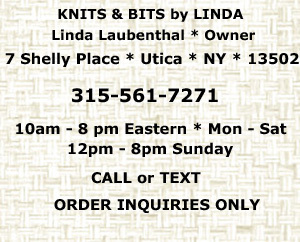 It has a Paddy Green yarn top.